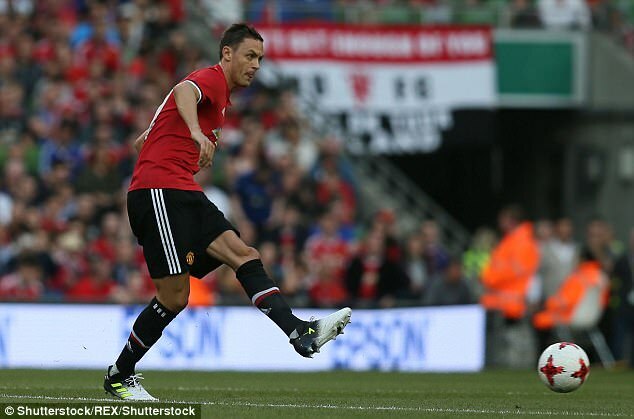 Jose Mourinho hailed his new £35m signing Nemanja Matic as a ‘genius’ after the Serbian played his first 45 minutes for the club in the 2-1 friendly victory over Sampdoria. Matic impressed in the first half as he slotted in to a 3-4-2-1 formation that was very similar to the system employed by Antonio Conte at Chelsea last season. It was Matic’s first appearance of pre-season having previously trained alone at Chelsea and been left behind from the club’s pre-season tour. Matic, who will likely cost United up to £40m including add-ons, formerly played under Mourinho at Chelsea and his manager said on Wednesday night that the midfielder will quickly get up to speed due to his natural football intelligence. 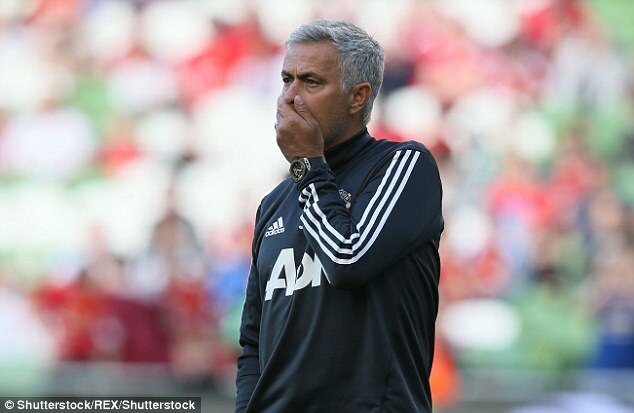 Mourinho also insisted he wants one more player to complete his summer shopping following the signings of Matic, Victor Lindelof and Romelu Lukaku. United want a wide player with the club continuing to pursue Inter Milan winger Ivan Perisic. The United boss added: ‘The squad is good and as I told a few months ago I was hoping for four players to improve the squad and the club did a fantastic job by getting three of them which is difficult in the crazy market where we are now, to get three out of four I thank the club for that.